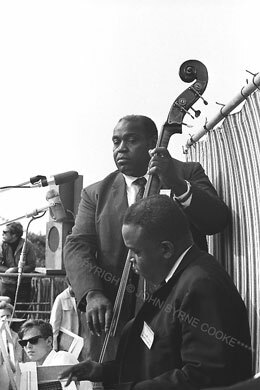 The great bluesmen Willie Dixon (bass) and Peter Chatman, a.k.a. Memphis Slim (piano), were both born in Mississippi in 1915 and both moved their music to the more hospitable climate of Chicago. Their presence at Newport '65 added an important dimension to the festival's blues repertoire.